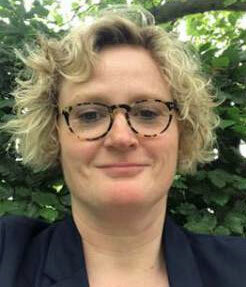 Brighton & Hove has a new Assistant Director for Health, SEN and Disabilities, Georgina Clarke-Green. “I am delighted to be the newly appointed Assistant Director for Health, SEN and Disabilities. I feel privileged and excited to have been given the opportunity to work with and support the children, young people, parents and carers of Brighton & Hove. “Having worked within special educational needs for 17 years, 14 of which as a Senior Manager or Head of Service, I will bring my commitment, experience and dedication to this post. In my previous roles, I have overseen statutory SEN processes and lead a wide range of specialist teams such as the Educational Psychology Service, Advisory Teachers, Inclusion Service, Autism Outreach Service and Head Teachers of Pupil Referral Units. “What has already struck me in my short time in Brighton & Hove is the very positive relationships which exist and the open dialogue that is encouraged; indeed, your experience and views as parents and carers is paramount and I look forward to hearing from you and working with you across many different areas.